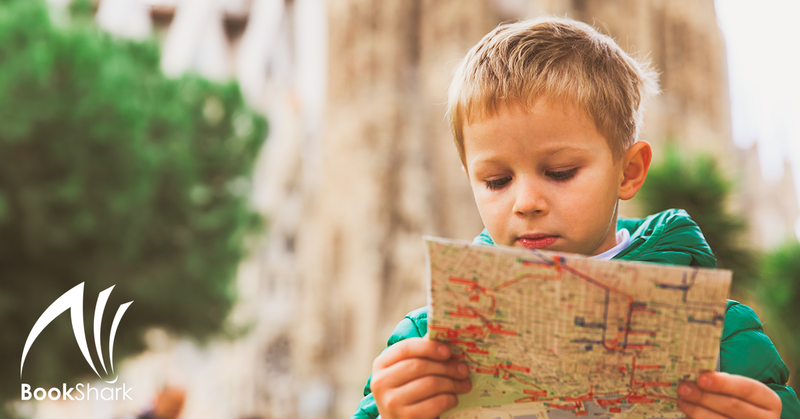 A large part of the reason we choose to homeschool our kids is our desire to travel. We want our children to see the world with us! The flexibility of homeschooling means we can travel during off-peak times while everyone else is in school. That timing brings perks like fewer crowds and cheaper hotel accommodations. And instead of learning only from books, we get the benefit of learning firsthand through our travel experiences! Whenever we go on an adventure, we make an effort to fit in as much education as we can while maintaining the core reason for our excursion—the family fun and memories. Here are three ways that travel enhances our homeschool experience. These benefits happen for any trip we take, but I'll use a recent beach trip as my example. Knowing a trip is coming up is a super motivator for my children to learn as much as we can about our destination. Last year when we planned a Florida beach vacation, I was excited to see that the oceans and seas were part of our upcoming science lessons. We attacked these lessons with genuine excitement because we all knew we'd be using what we learned to experience the beach in person in just a few weeks. Learning that the sand is made from the rocks and shells in the area before we made our visit to the beach was intriguing. We knew that the sand of the beach we were going to be visiting would look different from the sand on other beaches. Learning about sea life prior to our visit would help us to know what type of animals we are sharing the ocean with when we visit the Atlantic Ocean. And we knew that as much as we would love to encounter a penguin, they wouldn’t be swimming on the warm Florida beaches we were visiting. Reading about high tide and the effect the moon has on the ocean better equipped us to make a sand castle that might survive the night. All of the studying of oceans that took place prior to the trip was reinforced when we got to the beach. My children seemed to soak in all the details of the setting because of their prior lessons about it. It feels almost as though we have insider information about our destination. Having a close look at the sand and getting to talk about the different parts that make it up gave us a far greater appreciation for sand beyond just sinking our toes in. Seeing dolphins jump out of the water is a magnificent sight, but knowing that they are also mammals makes it more exciting for a fourth grader. We spent hours on the beach building a beautiful sand castle only to come back the next morning and find that while the moon was high in the sky it’s gravitational pull had caused the high tide to destroy our masterpiece. The high tide was even higher than we had anticipated. I love seeing my son discover that what he read in our school books is even more fascinating in real life. When we are on our way home from a vacation, we always talk about our favorite parts of the trip. This oral review gives the kids a chance to relive and enjoy the family memories. But it also gives me a chance to draw parallels between our homeschool science and history lessons and what we experienced. If the kids have questions, I make mental notes to explore those tangents by looking in our BookShark collection for reference books that will provide answers. This is a key part of the homeschool-travel connection, and it's natural! We are simply talking about our travels as we weave in history and science. There's a wonderful relationship between traveling and homeschooling. 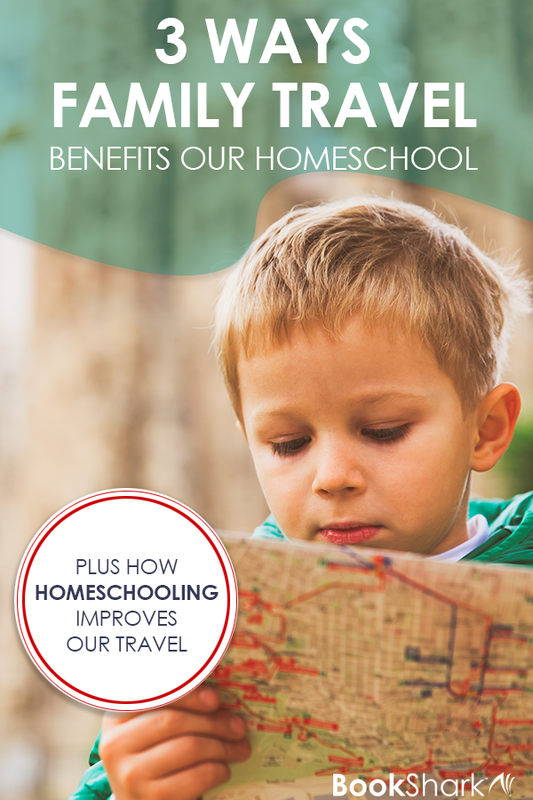 Travel benefits our homeschool, and homeschooling is also a great benefit to our travels. Pamela Gann lives in Alabama with her husband and two kids where they love doing science experiments. They began their homeschool journey back in 2013 and have used BookShark Levels K -4. 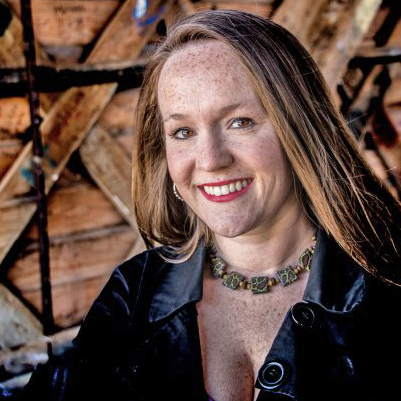 Pam is a former flight attendant and is married to a pilot, so traveling is not just their passion—it is their livelihood. She blogs about their homeschool and family travel journey at PamGann. Homeschooling for their family takes place on planes, in cars, and most often outside under a shade tree.